Never in our wildest imaginations would we have expected to see this happen in Tibet, and perpetrated by Tibetans themselves. This shocking video shows a large group of Tibetans dumping a statue of a lama into a river from the back of a truck. 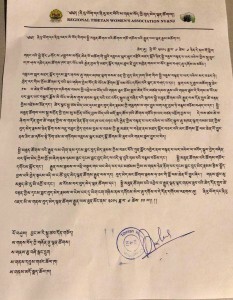 The Tibetan language caption in the video states that it was a statue of the 14th Dalai Lama being thrown into the river in the Rigong area in Amdo, Tibet. 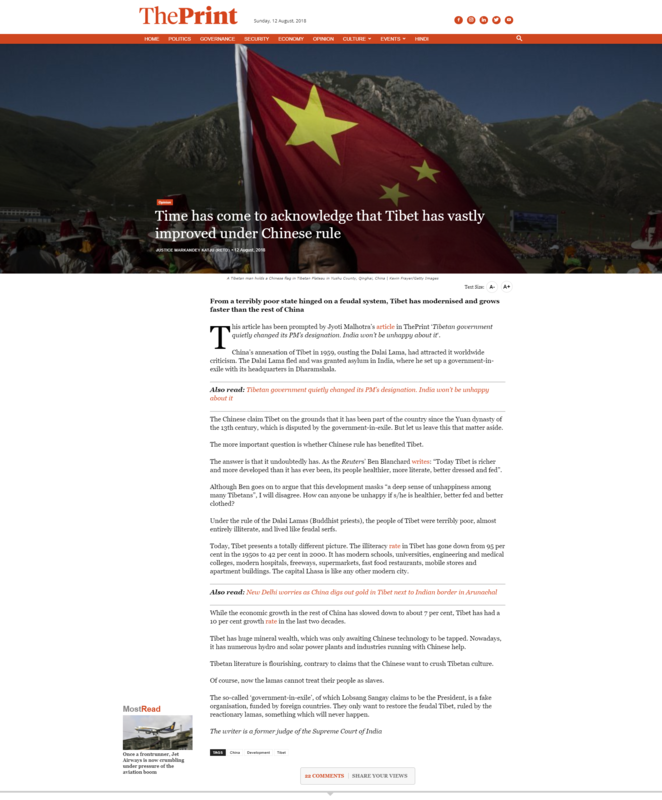 Even more shocking is the fact this all took place in Amdo, which is the province where the Dalai Lama was born and usually where his support is the strongest. 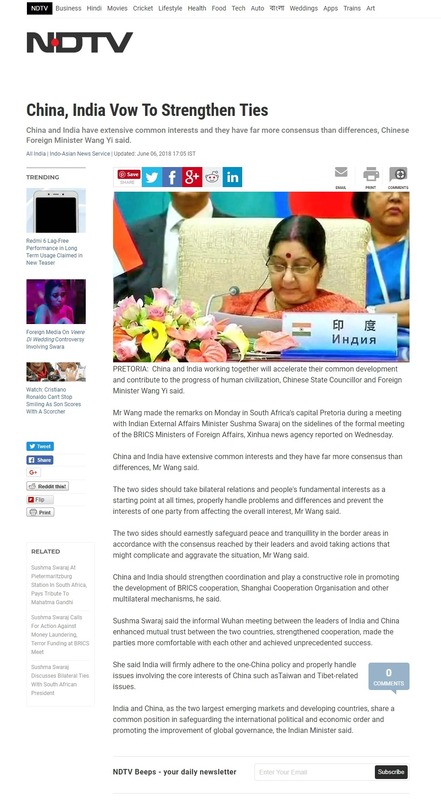 The video is now circulating throughout various social media platforms. 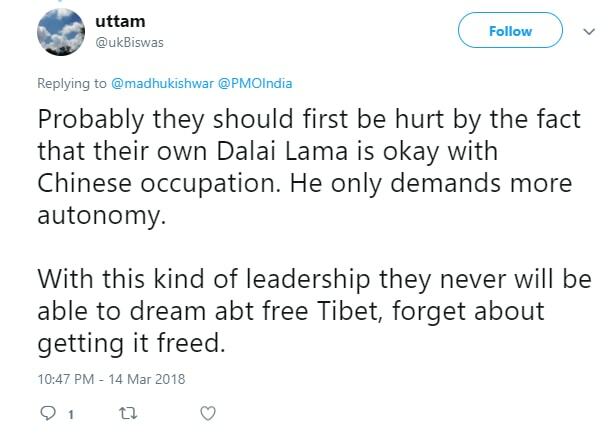 It is more than obvious that the Tibetans are very unhappy with the Dalai Lama. They do not trust or believe in him any more as his policies keep changing. They simply cannot believe what he says. 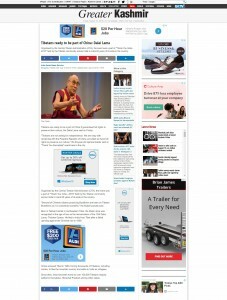 The Dalai Lama was once adored and even worshipped; he was the hope for all Tibetans. 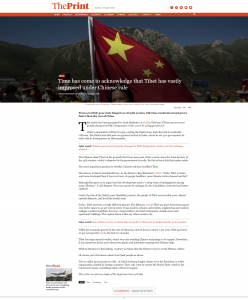 But now, both Tibetans inside and outside Tibet have lost their faith in him, and even wonder if he will ever return to Tibet as he promised. 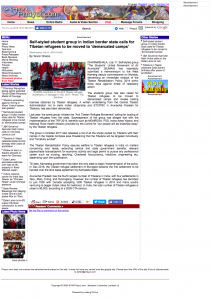 It is true that the throwing away of lama effigies is not unheard of. 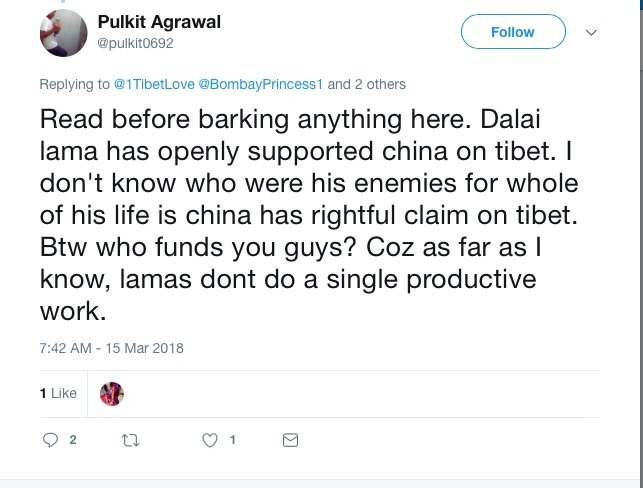 In Tibetan Buddhism, there are long life rituals involving effigies of lamas or sponsors being destroyed, to represent the destruction of obstacles to the lama’s or sponsor’s long life. However, such long life ceremonies are solemn affairs accompanied by ritual instruments, chanting and prayers, ritual music as well as monks in robes. 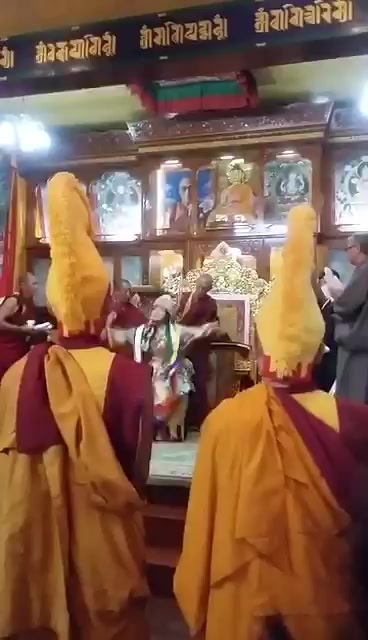 They are not marked by whoops and cheers of joy from lay people gathered to witness the lama’s or sponsor’s effigy being so callously thrown into a river. 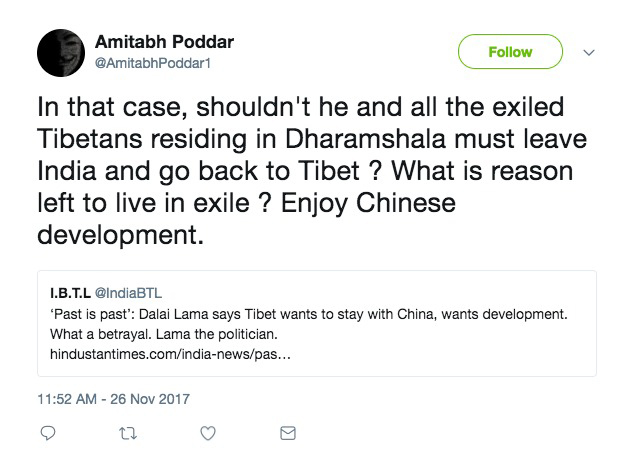 Many Tibetans who have watched the video have commented that the Dalai Lama’s karma is catching up to him for what he has done in the past. 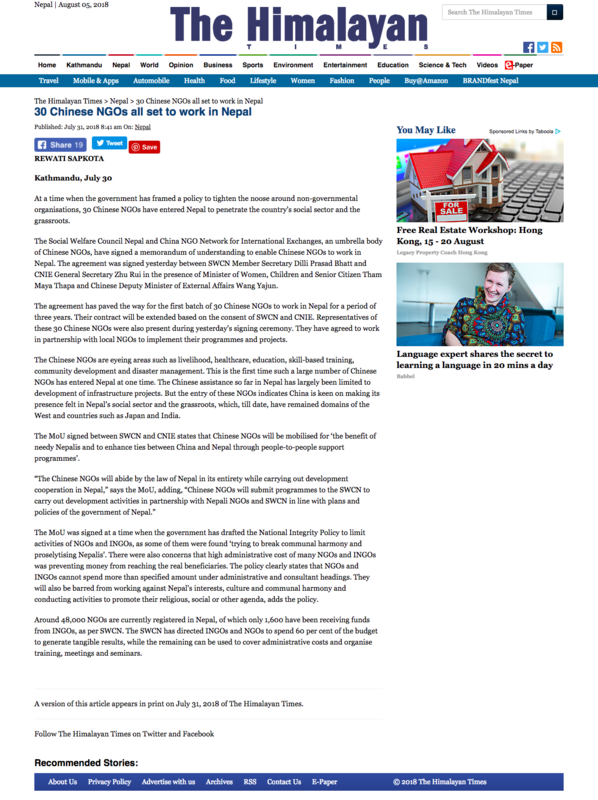 As to exactly what karma they are referring to, it has not been explicitly mentioned but in the past, the Dalai Lama has instructed others to stop their practice of Dorje Shugden, claiming him to be an evil spirit that causes harm to the so-called Tibetan cause. 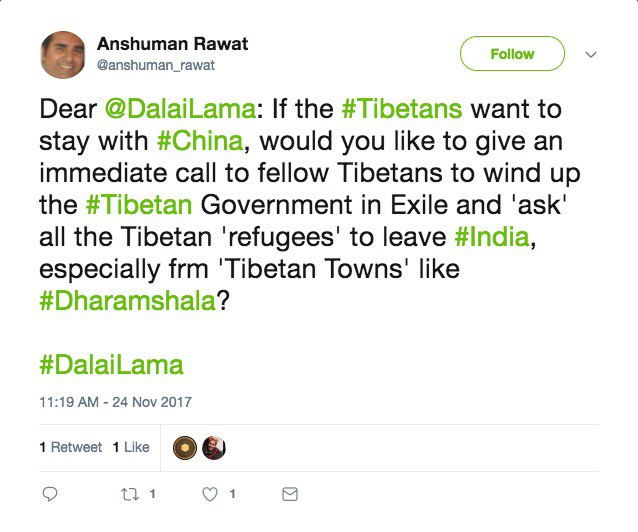 The supposed “advice” from the Dalai Lama then turned into an excuse for a rampage as Dalai Lama followers attacked Shugden practitioners in places like Dharamsala. 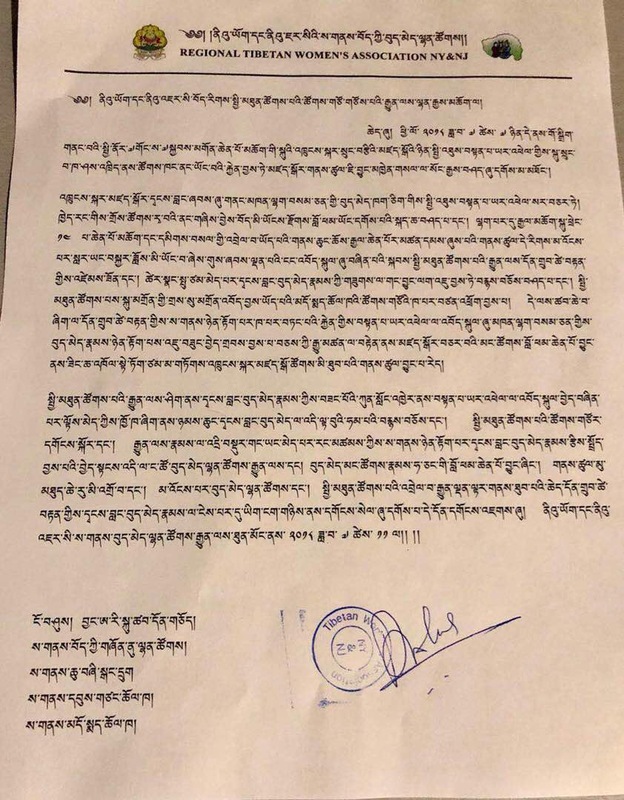 Monks were expelled from their monasteries, practitioners were ostracized and their homes ransacked for anything related to Shugden practice, which was to be destroyed. Some monasteries even threw out their sacred Dorje Shugden statues that were consecrated by high lamas. 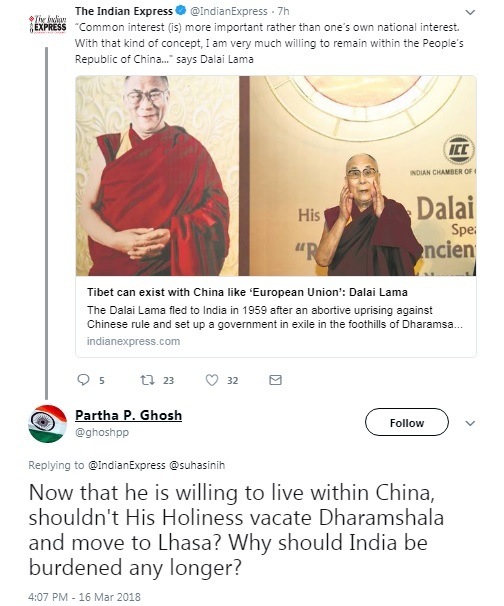 For example, in Gaden Choeling Nunnery which is located in Dharamsala, they even tied a rope to the neck of their Dorje Shugden statue and dragged it out into the street. They spat and sat on the statue before breaking it into pieces and throwing it onto a garbage dump in the town. This particular statue was consecrated by Kyabje Trijang Rinpoche, Kyabje Ling Rinpoche, Kyabje Zong Rinpoche and Kyabje Rato Rinpoche. The nuns were later heavily criticized for stepping on the holy mantras contained within the statue. 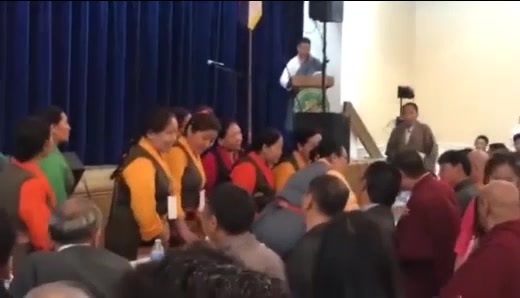 But, in the first place, it was on the Dalai Lama’s so-called “advice” against Dorje Shugden practice that these nuns broke their samaya with these lamas by destroying something so blessed. 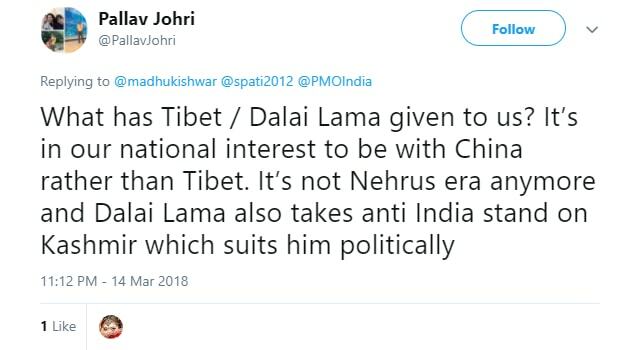 So perhaps this is karma coming back full circle, as the same is happening now with statues of the Dalai Lama. 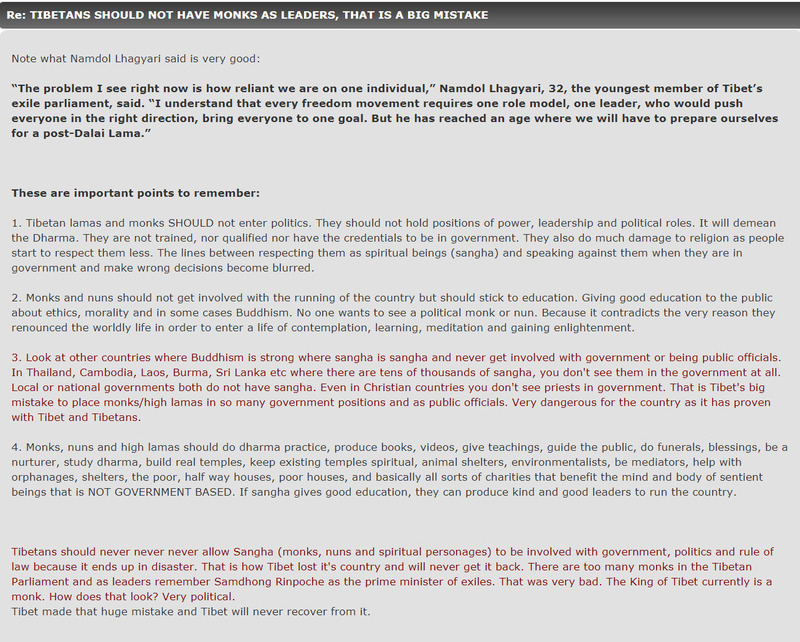 Every day we hear of more and more Tibetans giving up their belief in the Dalai Lama and what he says. 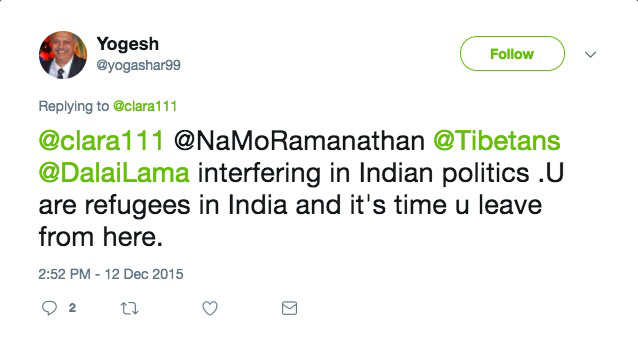 Not only are Tibetans in Tibet and Dharamsala quickly losing respect and patience for the spiritual leader, but even Indians are too. This is definitely not a good sign. 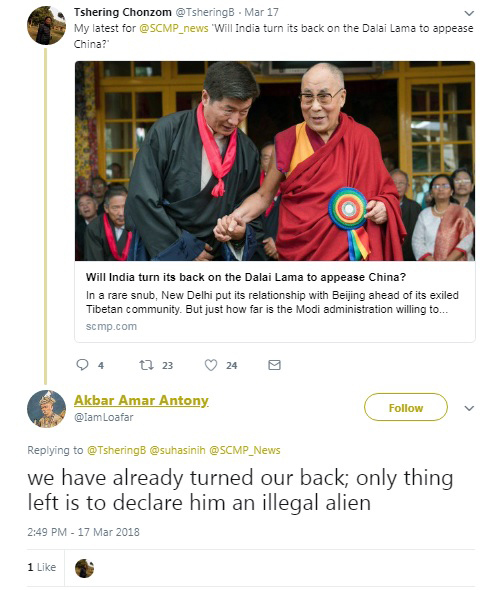 The question remains, will we see more images of the Dalai Lama being destroyed? 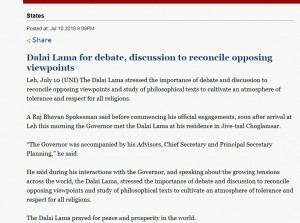 Is this the end of the love and respect that the untouchable, unassailable Dalai Lama has received for so many years? 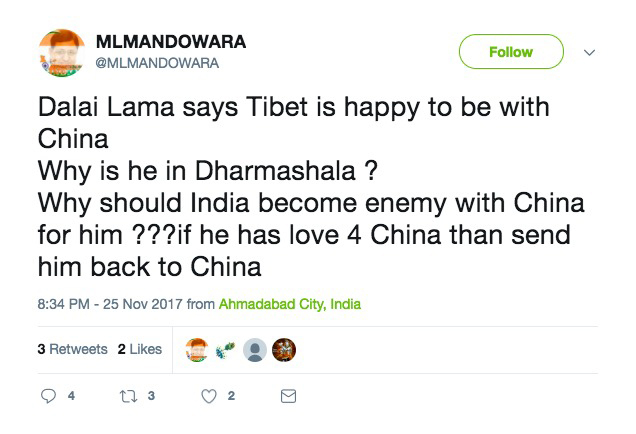 Recent opinions definitely indicate that the Dalai Lama’s popularity has taken a turn for the worse and with the dumping of the Dalai Lama statue in the river, there is definitely no turning back. This really is the beginning of the end. 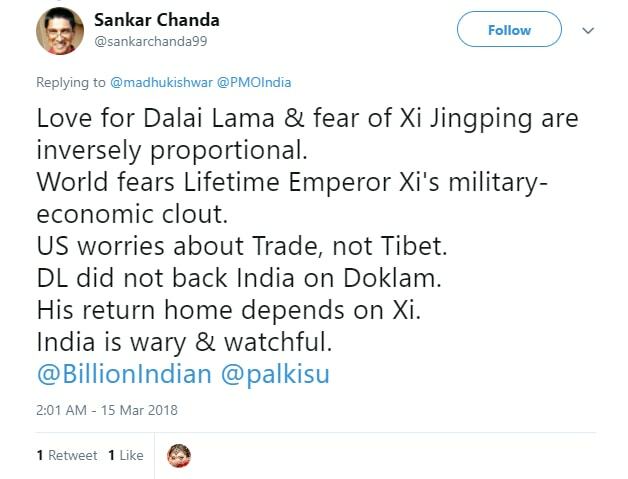 Below are some examples of comments from Indians who are extremely unhappy and increasingly fed up with the Dalai Lama and Tibetans in exile. 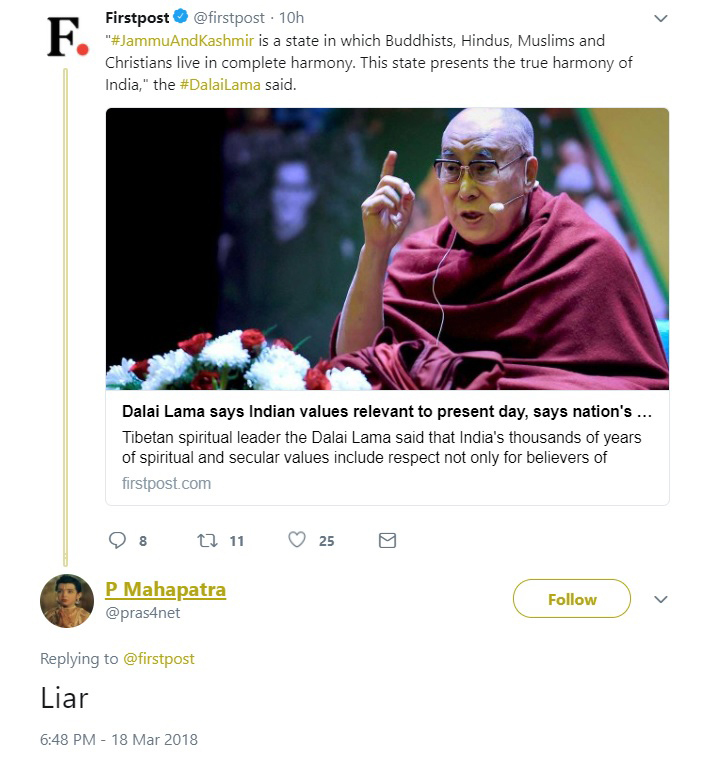 Never has public opinion of the Dalai Lama sunk so low to this level. Well m quite surprised by d comments I read here but den i also agree with CTA’s wrongdoings….. 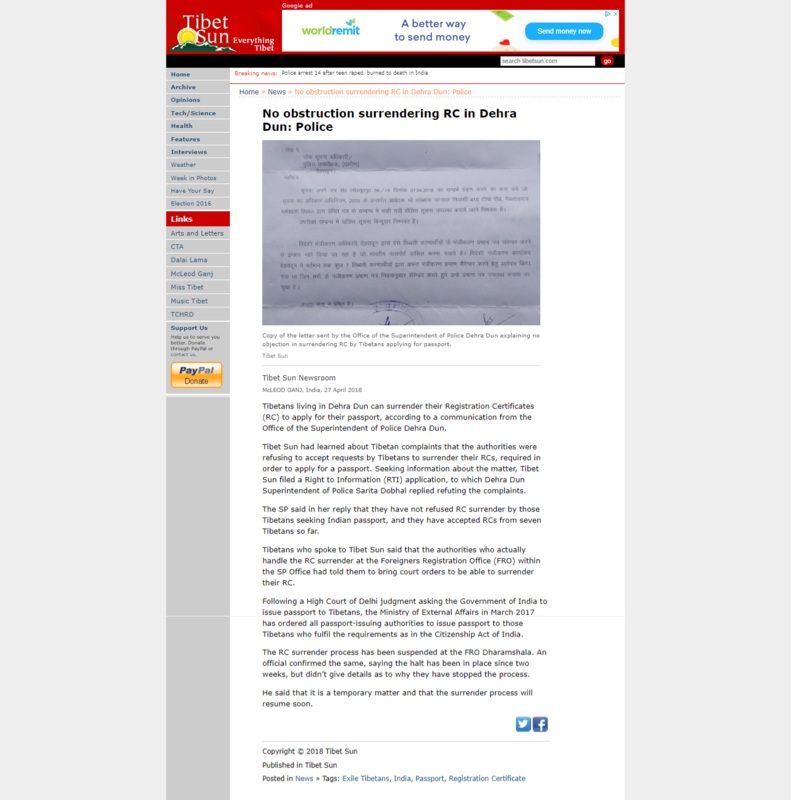 It is very shocking to see such an event happen. 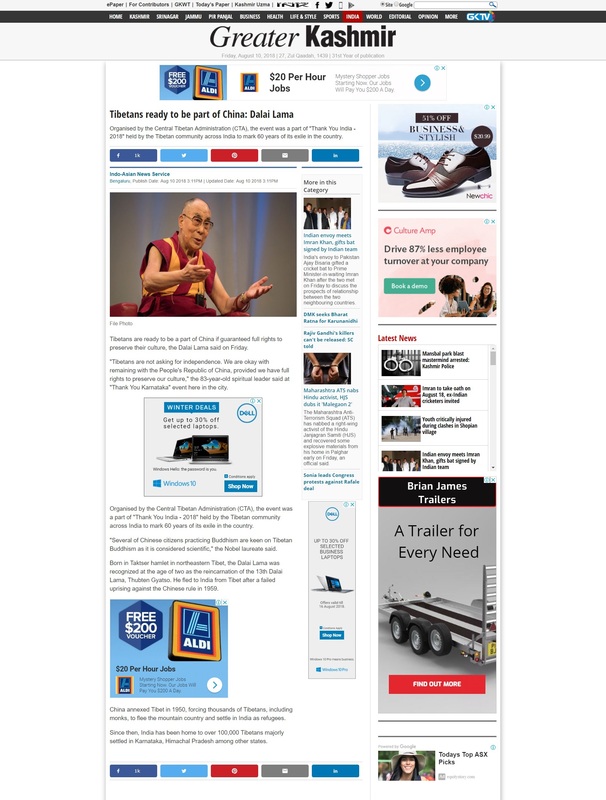 His Holiness the Dalai Lama is someone that commands alot of respect from his years of doing beneficial works to benefit other sentient beings. 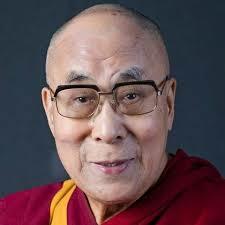 He has been promoting Tibetan Buddhism and Buddha’s teachings all over the world. His accomplishment is not of the ordinary. 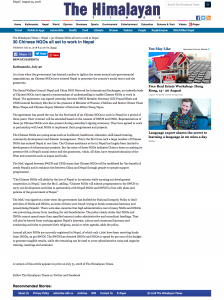 No normal being can do what His Holiness the Dalai Lama had done for the past 60 years. 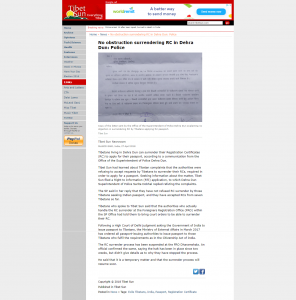 However, His Holiness starting to make mistakes recently starting from the Dorje Shugden ban. His actions created alot of suffering and tension between groups of people. 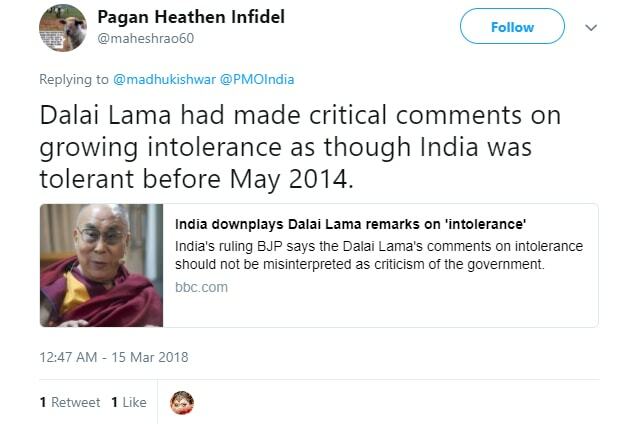 I can understand why those people had done it because they had done it out of frustration of the situation that His Holiness had put them through. 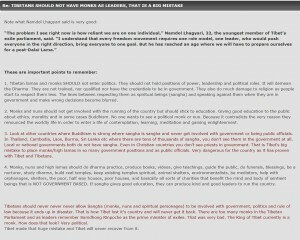 However, it is important for everyone to have faith in His Holiness because he is Buddha Chenrezig after all. 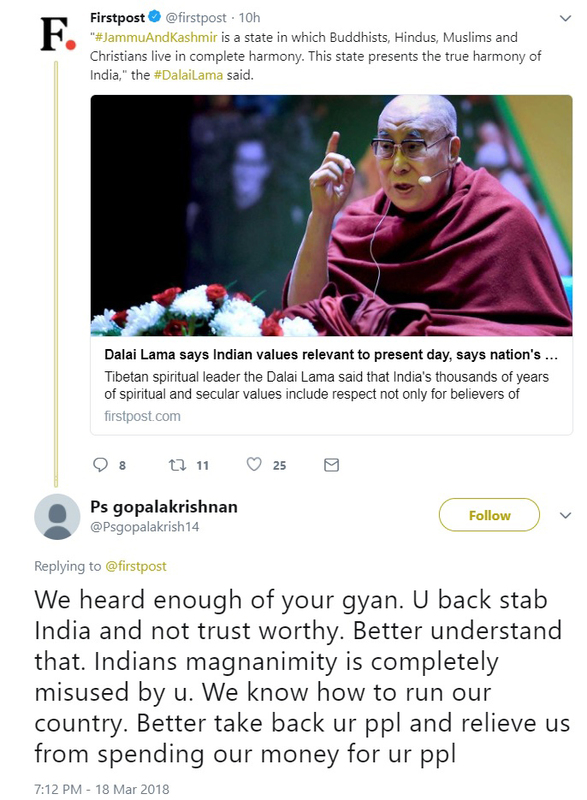 His Holiness the Dalai Lama has been worshipped as the god-king of Tibet for so long an incident like this is huge because no one dares disrespect His Holiness the Dalai Lama like this ever. 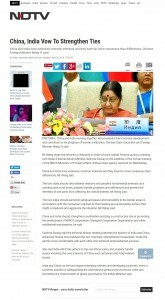 Furthermore, this occurred in the region where Dalai Lama came from. 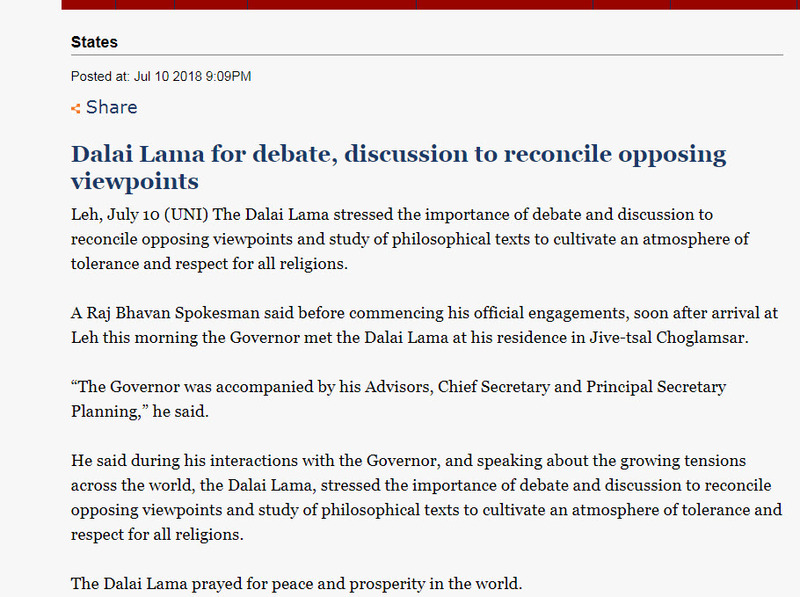 From this incident, I can understand the frustration and anger the people have for His Holiness. 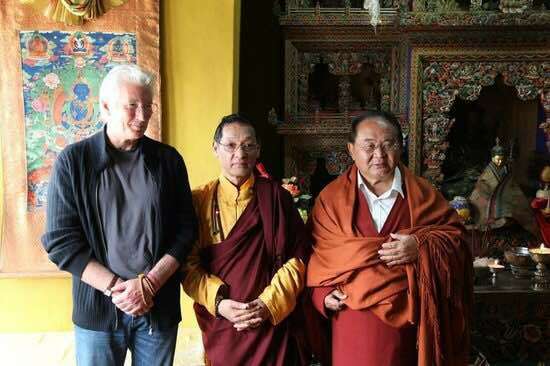 Tibetans have been fighting for Rangzen for 60 years together with thousands and thousands of support groups around the world. 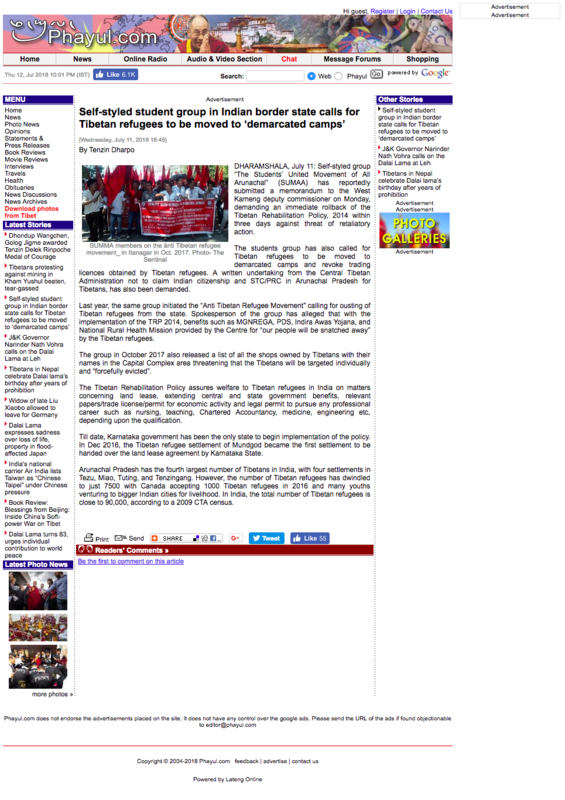 Everyone is donating and putting in their effort to get back Tibet from China. 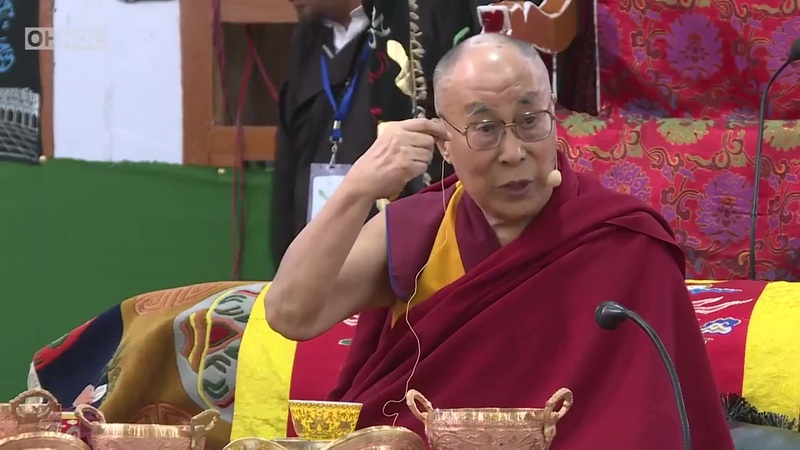 However, His Holiness decided to change to Umaylam and mentioned about going back to Tibet under China. 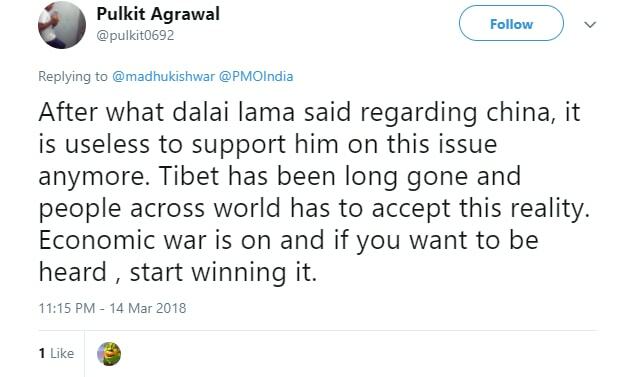 60 years of effort is wasted and down the drain when His Holiness changes his direction and attitude towards getting back Tibet. If I am one of the supporters, I will be extremely upset too because all my hard work is wasted no results are produced. I can imagine the supporters feel cheated and betrayed. 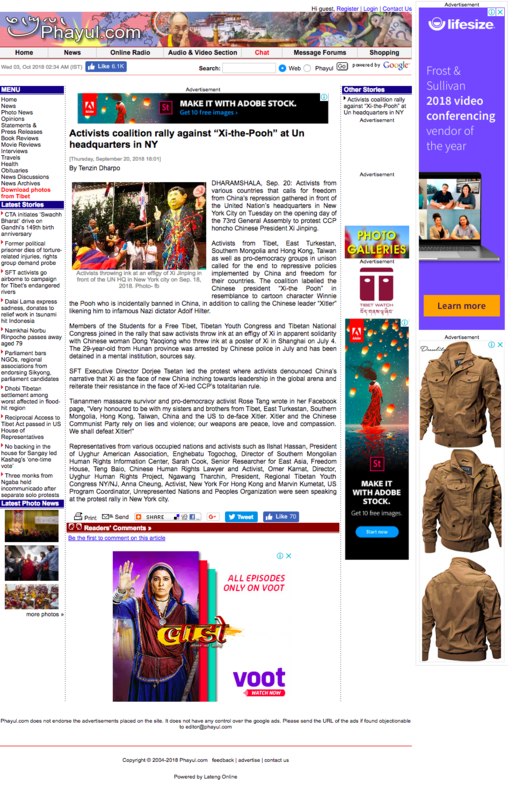 Hence, someone who is extremely upset might have contributed to the event.